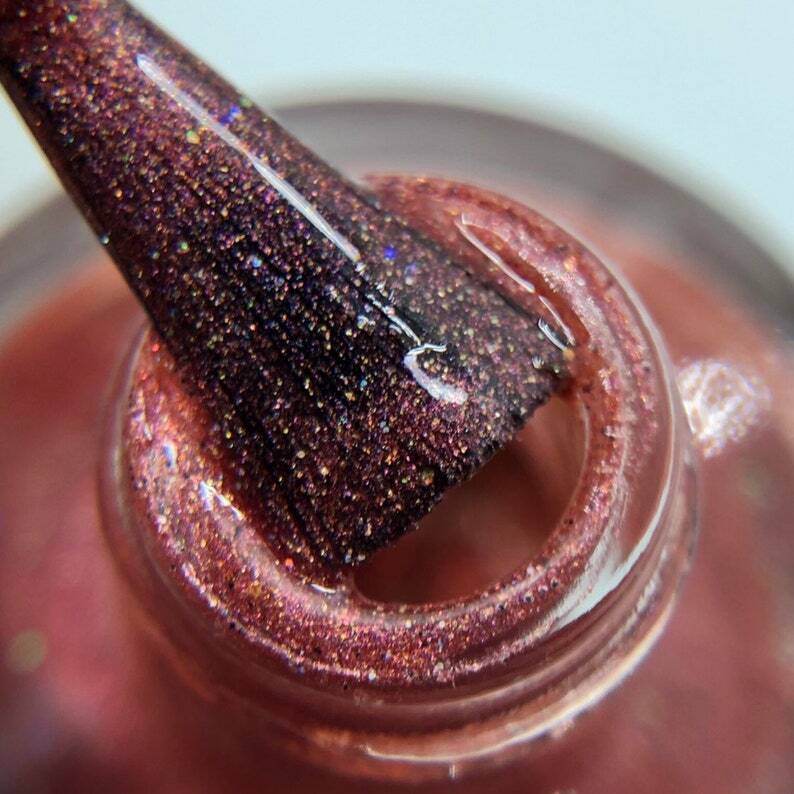 This is a full size (15ml) bottle of handmade custom nail polish mixed with all-natural mineral pigments on a 10-Free lacquer base. What is 10-Free? It's nail polish free of the most harmful chemicals: without formaldehyde, toluene, DBP, camphor, formaldehyde resin, xylene, ethyl tosylamide, parabens, phthalates, or fragrances. Beautiful inside and out! The Beyond novels by Kit Rocha are a fantastic post-apocalyptic series that deal with hope, power dynamics, strength in adversity, and found families (among many other things). I highly recommend them, and they are near and dear to my heart. This color is inspired by Noelle Cunningham, and is a rich berry-pink with tons of holographic sparkle. Noelle is sweet, not saccharine, and this kitten has claws.